Access Your First Look at the IA Week Program! 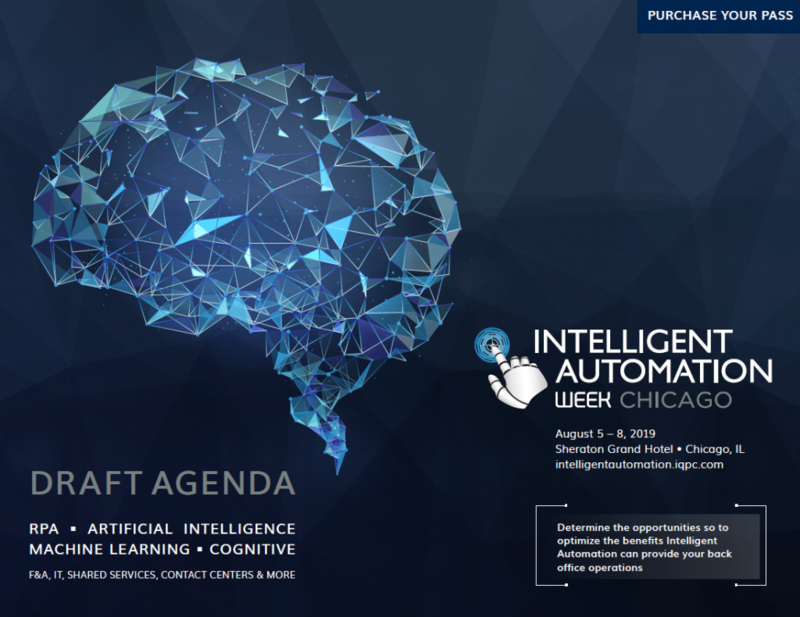 Get the very first look at our Intelligent Automation Week Chicago program! Access the draft agenda at a glance for more details on what you can expect on each day of IA Week 2019. Make sure to mark your calendar as booked for August 5 - 8th and join us for the event! Either fill in your information using the form or email geena.monaco@iqpc.com for program details.